Typhoon NAMTHEUN was downgraded to a tropical depression, but Shikoku is still suffering from heavy rainfall. Some points recorded more than 1200mm of rain, which is a torrential rain comparable to that of Typhoon 197617. But surprisingly the rain of this amount has not resulted in large-scale disasters, which indicates long-term mitigation measures taken in this area. 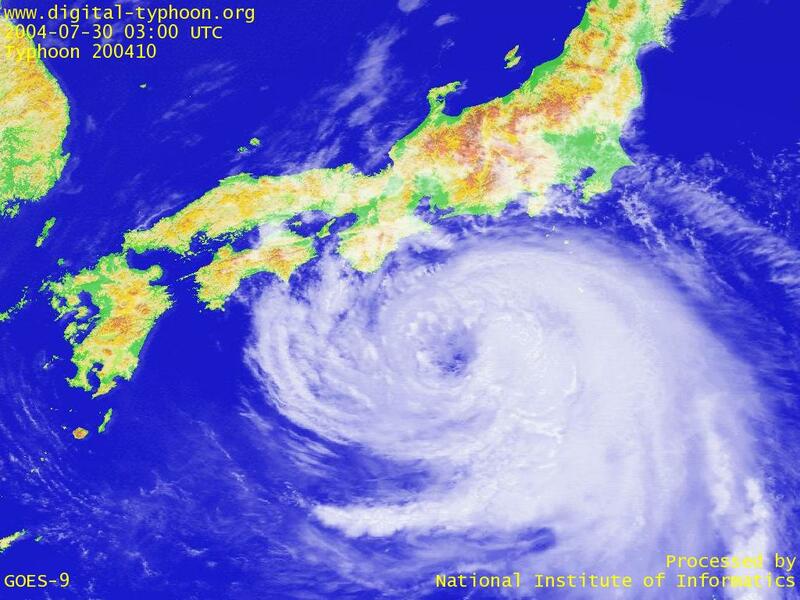 Typhoon NAMTHEUN is expected to make landfall today at Shikoku Island. Torrential rain has been observed at Kii Peninsula and Kochi Prefecture since yesterday, and the satellite image shows the presence of thick rainy clouds in the eastern part of the typhoon. Together with its slow speed, the situation indicates heavier rain in those areas. In addition, the maximum gust of 60.9m/s was recorded at Muroto Misaki, and this suggests that the typhoon is still keeping its intensity. Typhoon NAMTHEUN is staggering around in south of Hachijojima for a full day long. 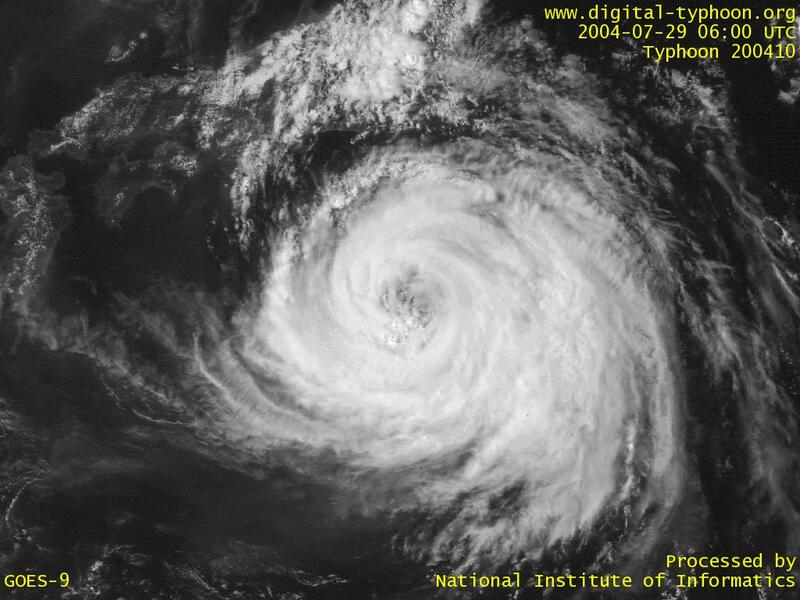 A typhoon is often compared to an engine that produce huge amount of energy, but in fact it is not moving by the energy produced by its own. It is known that it is rather moving on prevailing wind currents at the altitude of about 5000 meters. Thus a typhoon is like a yacht that moves by catching the current rather than a motorboat that can move by means of its own engine. 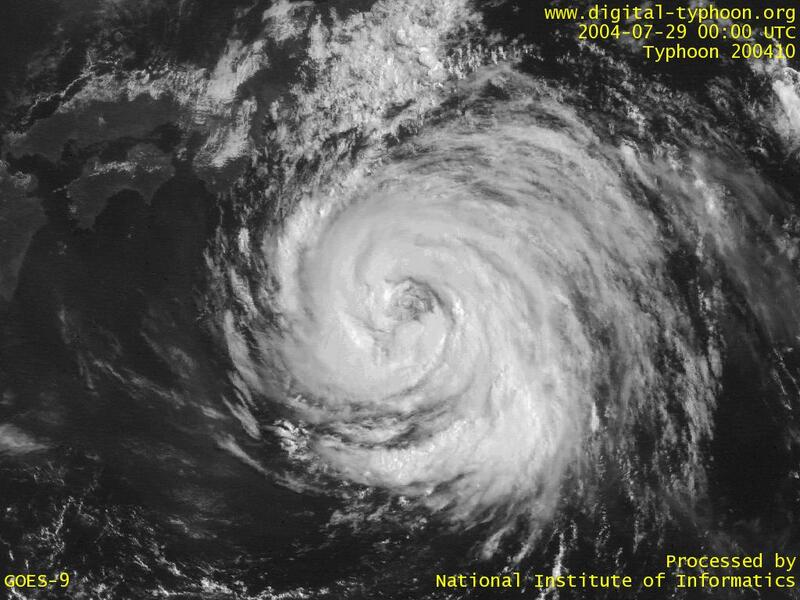 Strictly speaking, a typhoon can move toward west or west-north-west directions by its own force, but generally speaking, its motion is "taking the course of nature," or quite dependent on an atmospheric state surrounding the typhoon. Normally a typhoon moves toward northeast direction around Japan riding on the westerlies, but this typhoon is taking an irregular course because it stacked into an area like a void without prevailing wind currents. This area was surrounded by high pressure systems in all directions, hence atmospheric currents cannot go into this area. It's like a typhoon is stacked into an calm area (!?). The future track of the typhoon is determined by the order of which high pressure system starts weakening firstly. It appears that Typhoon NAMTHEUN is crawling westward as if there is no other good directions to move, and the shape of clouds is getting similar to other westward-moving typhoons in the past (in particular, Typhoon 200008 and Typhoon 200216). It seems that the typhoon will keep crawling westward with a subtle balance between intensifying factors and weakening factors, or possible directions to move. 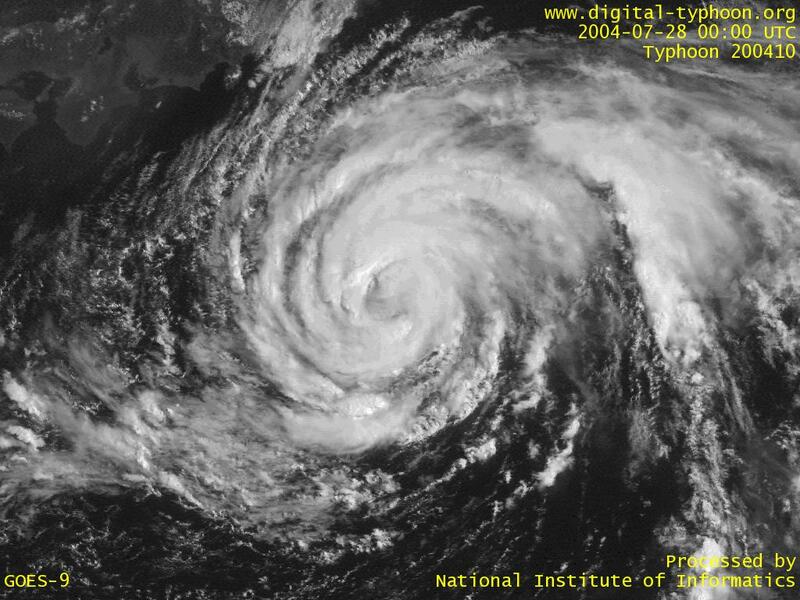 Typhoon NAMTHEUN is approaching Honshu islands from southeast direction. 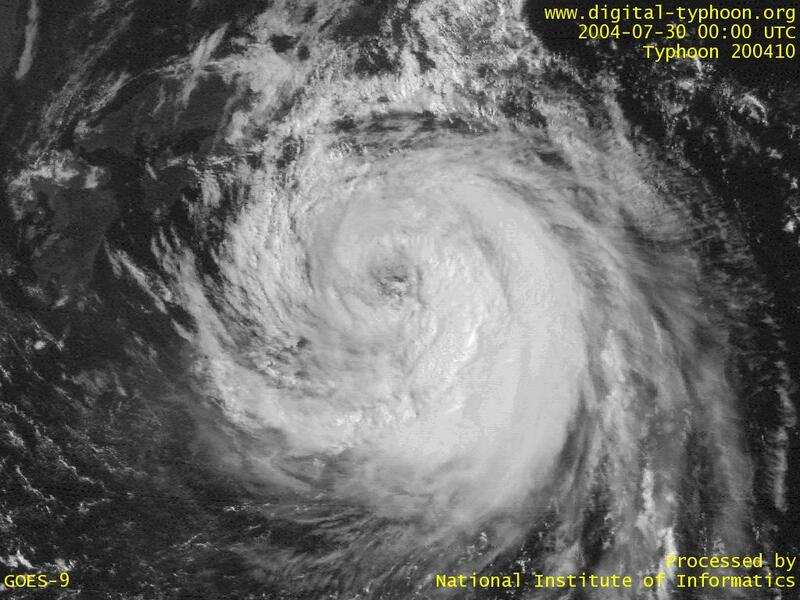 According to Japan Meteorological Agency, we have had only four typhoons since 1994 which moved westward after drawing near to Japan. (News source: Typhoon News Topics [Japanese Only]) This depends on the definition of "moving westward," but in any case this is said to be an irregular course, so we searched for past similar typhoons in terms of typhoon tracks (unfortunatelly this information is still not searchable from the web). The result illustrates that these typhoons can be categorized into two types: either moving westward or turning to eastward. 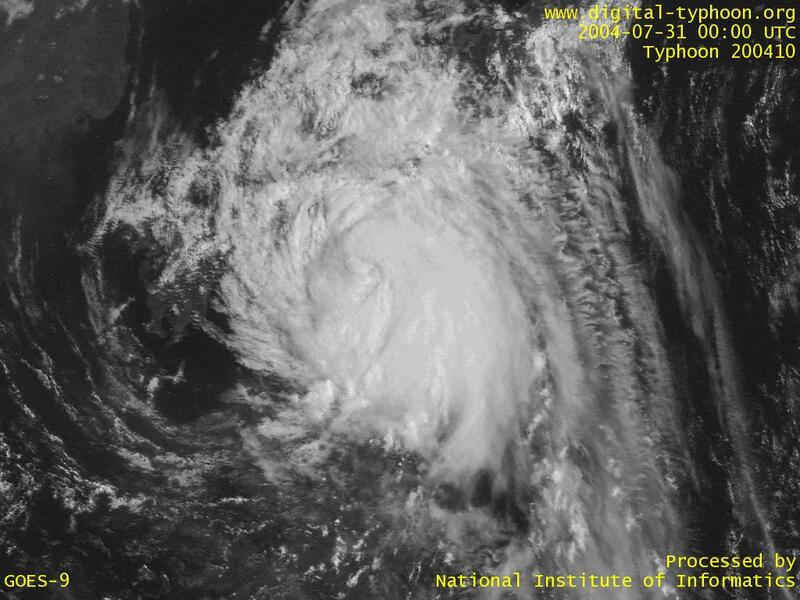 Typhoon NAMTHEUN is forecast to move westward, but the change of weather condition may make the typhoon turning abruptly from westward to northward or eastward. 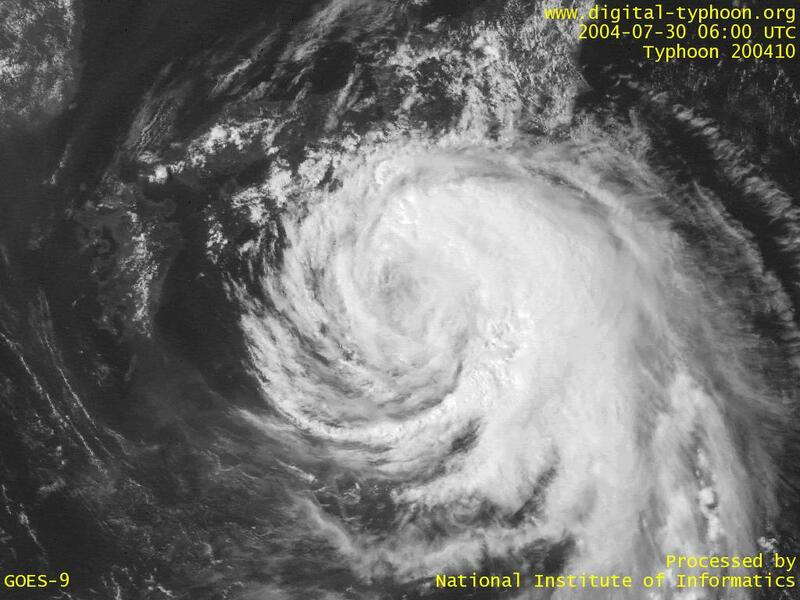 By the way, this typhoon seems to be weakening with its eye becoming unclear, but this does not mean that this typhoon will keep weakening and die out. In particular, high sea surface temperature because of the warm current, called Kuroshio, provides "nutrition" to the typhoon, so we may see its redevelopment on the way. Typhoon NAMTHEUN keeps moving westward, and it may draw near between Kii Peninsula, Shikoku and Kyushu. 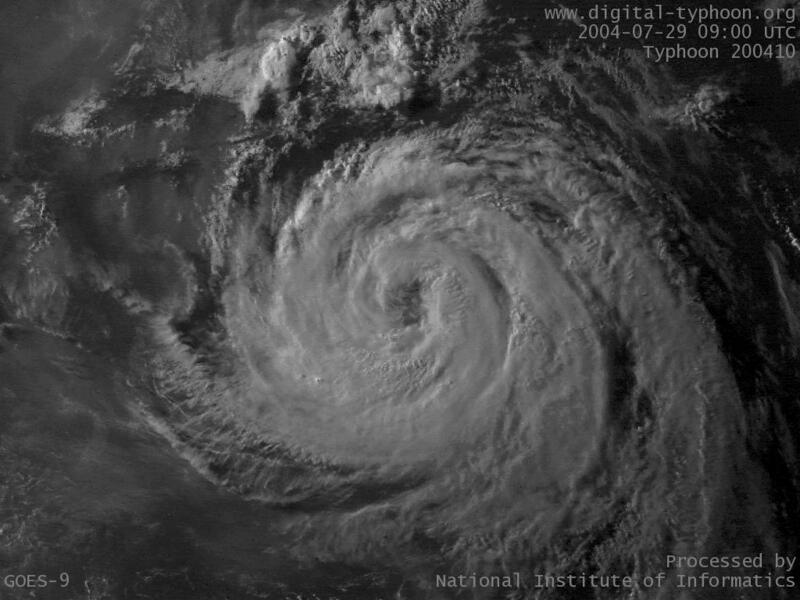 Typhoon NAMTHEUN started to show its clear eye. Its future track and intensification needs to be watched. 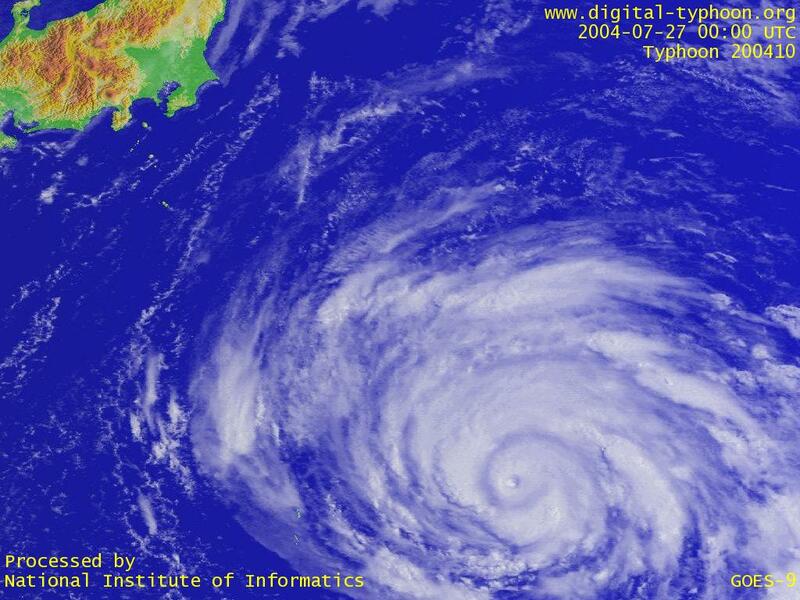 Typhoon NAMTHEUN was born in west of Minamitorishima Island. According to the forecasts from Japan Meteorological Agency and others, this typhoon is forecast to move westward in south of Japan with intensification, possibly drawing near to the land. 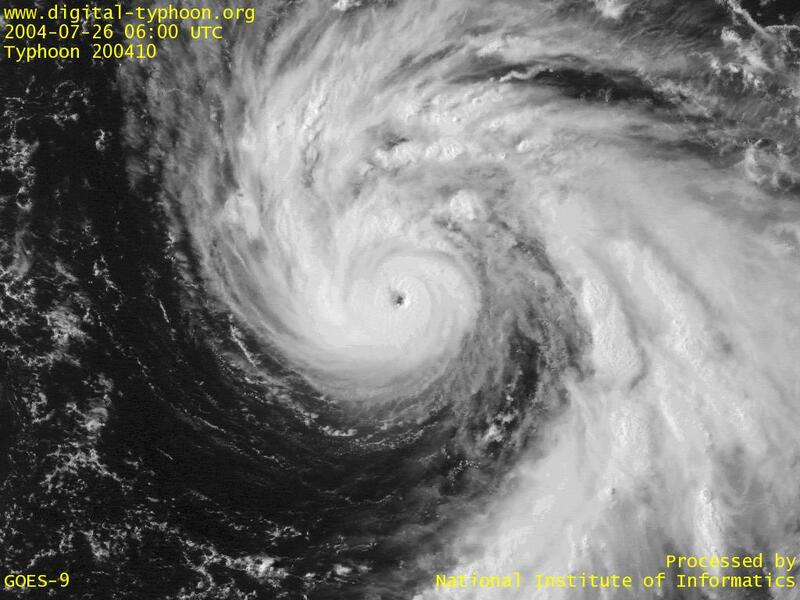 The eye of typhoon NAMTHEUN from above (in Japanese). This movie is unique because the typhoon eye is taken from an airplane, so I wish they let extended movies open to the public as references. Satellite images of Typhoon NAMTHEUN by NASA.